When was the last time you visited Cape May, New Jersey? Isn’t it about that time for you to return? This is a great time of year to visit as the crowds are gone and the rates are lower this time of year. We have some really reasonably priced Cape May beach house rentals for you to stay in when you arrive. HomeSteadCapeMayRentals.com offers single family homes, spacious townhomes, and beachfront condos on the Jersey Shore. Warm and inviting cottages are available weekly or for all season. 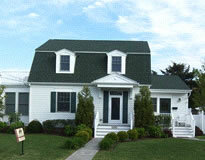 We also have pet-friendly Cape May beach house rentals that are also available. It’s super easy to reserve your Cape May beach house rentals too. Just go to our website and select the town you want to stay in, how many bedrooms you require, if you need pet-friendly accommodations or not and book your rental! It’s as simple as that. It couldn’t be easier! Something else that sets us apart from the other agencies is that we are the only real estate agency on the Cape May Island offering Drive-Thru Check In and Check Out. Drive thru our Check In station to pick up keys and linens. At the end of your stay drive thru our Check Out station dropping off keys and unwashed linens. Don’t miss the Cape May City Tree Lighting Ceremony at 7 p.m. on December 2, 2011. On December 3 at 5 p.m. the 45th Annual West Cape May Christmas Parade will take place.